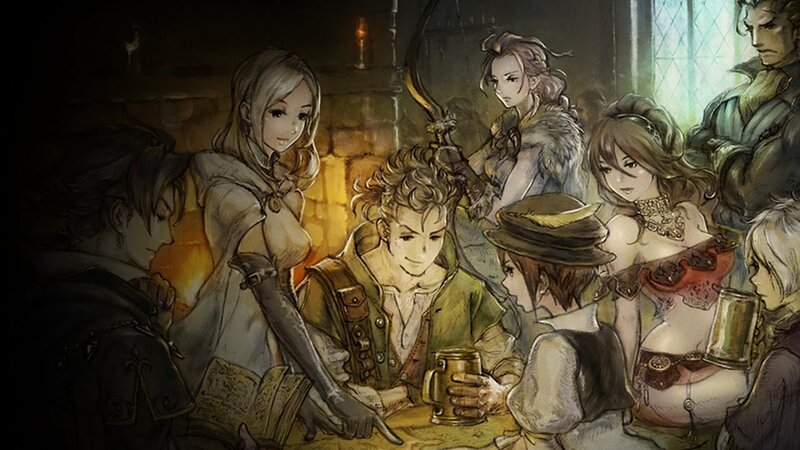 Octopath Traveler is a game about adventure, coming together to make the world a better place, and getting a job that will be helpful to your future career. The game has 12 unique jobs, also known as classes, that you can choose from, with each one offering a unique array of abilities, skills, and weapon choices to help you get through the game. Each character can have two jobs throughout the campaign, one you start with and the other chosen by you. By mixing these jobs together, you can create unique combinations that can either aid or hinder you in battle. To help you out, we've created this handy guide listing out all of the jobs available, what they're mainly used for, and how to unlock the illusive four secret jobs that are hidden somewhere in the world. As you progress through the game, you'll unlock the ability to give your characters a secondary job. By taking a second job, a character can gain access to two sets of skills that can be mixed and matched to fit your playstyle. You could create a Merchant-Dancer or a Warrior-Hunter, for example. Multiple characters on a team can't have the same secondary job as another, however. So, for example, two characters can't have Dancer as their secondary job. Warrior: A heavy damage dealer that has great HP. Apothecary: An assist character that has the highest HP in-game. Merchant: An elemental user that can assist the team. Cleric: A healer with a focus on defensive duties. Scholar: The basic mage of the group. Dancer: Buffs allies while dealing little damage. Hunter: A ranged balanced fighter that is decent in most attack-related duties. Thief: An evasive rogue that deals major crit damage. As well as the eight base jobs, four others exist in the world that are known as advanced classes. They're the strongest jobs in-game, offering skills and abilities that can be essential for the final parts of the game. Similar to base classes, they can be found in a shrine hidden on the map. These shrines will show up as white pillars on the map and are some of the hardest dungeons accessible in-game. As such, it's worth leveling up quite a bit before trying to get these jobs—we advise getting to at least level 60. Warmaster: An expert in military arts who mows down their enemies. Sorcerer: A mage capable of taking down enemies with the strongest magic possible. Runelord: A fighter who wields the power of runes that they wear on their weapons. Starseer: A user of divine protection, using the power of the stars.